No viruses. No malware. No spam. 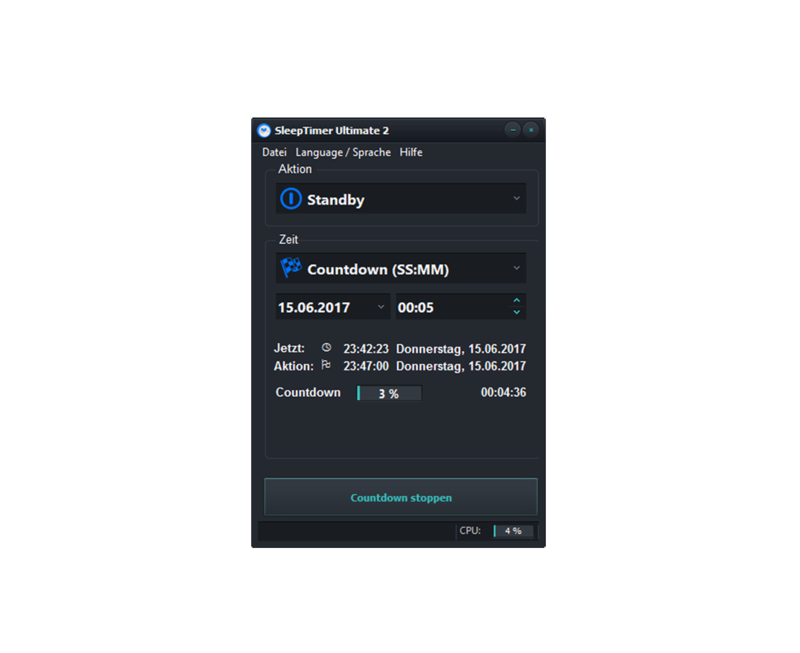 SleepTimer Ultimate is free. 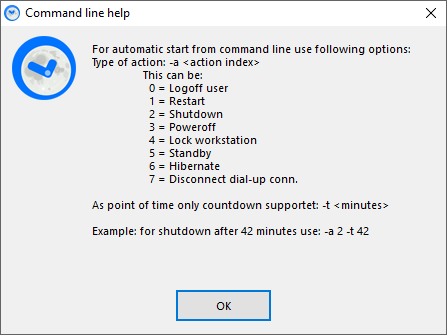 It can shutdown the computer after a defined time. Minimum requirement is a Windows XP system. Windows 10 is supported as well. SleepTimer can do other things if the time is reached and is customizable. 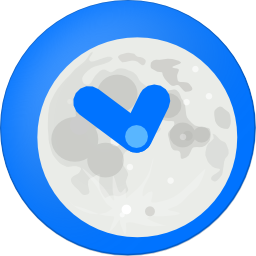 SleepTimer Ultimate is a private hobby project – there are no commercial intentions. It is and will be free. As a result of the first programming lessons it will be developed further from time to time. In future there will be updates with new features and improvements. 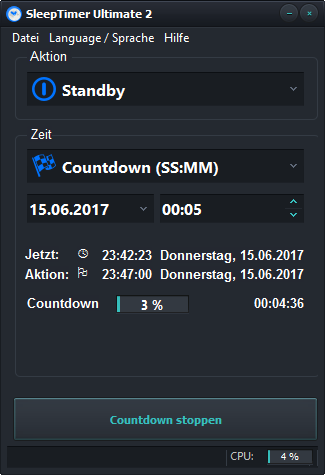 Is it possible let SleepTimer start automatically? 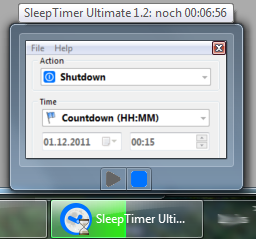 Since version 1.2 it is possible to let SleepTimer start with Windows automatically. There is an option in the preferences. 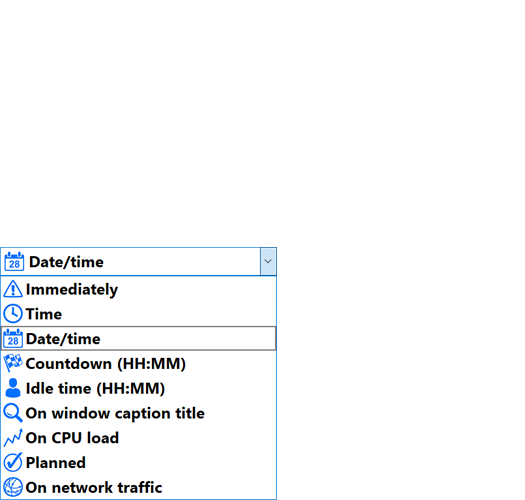 After activation of this option SleepTimer will start with the last used time and action automatically with Windows startup or resume from standby. You can also make an shortcut in Autostart and pass the parameter "FORCE" (without quotation) to the EXE. 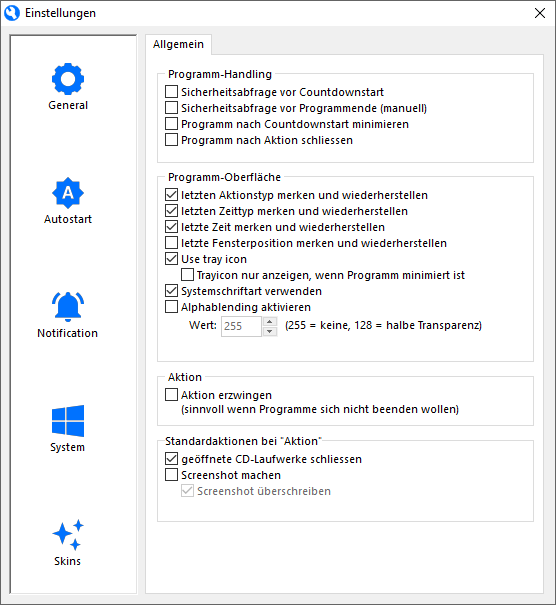 Since version 2.2 it is possible to create shortcuts which you can copy to the Windows Autostart folder. With Windows 10 you just use the keybord keys "Windows" + "R". There you type the command "shell:startup" and ENTER. It is opening the Autostart folder for the user, where you can copy the shortcut file into it. Shortcuts in SleepTimer can create with main menu "Help" and "Create shortcut". 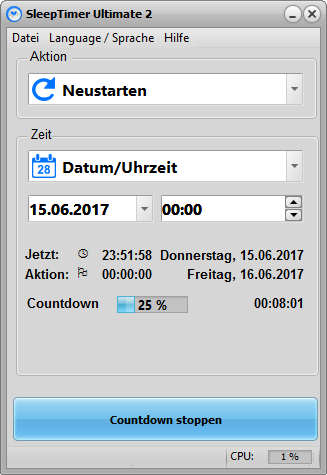 It is possible to create a shortcut for countdown or a profile, to use it for Autostart. Why I can't activate the automatic start? Sometimes the autostart option cannot be activated. It can be that a protection software prevent this. Autostart will be activated in the userspace of Windows registry. Some protection software don't let to do so. You could try so set SleepTimer as trusted. UPDATE: With the new included AutostartHelper.exe this information is deprecated. 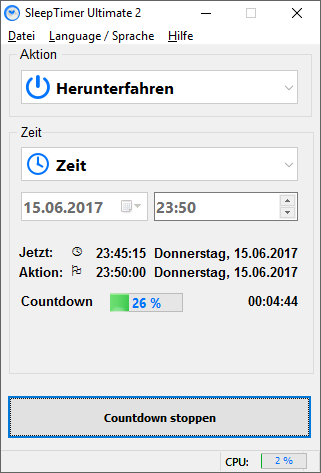 Is it possible to protect SleepTimer with a password? If you set SleepTimer to autostart, it is possible to protect SleepTimer from user actions through a password. 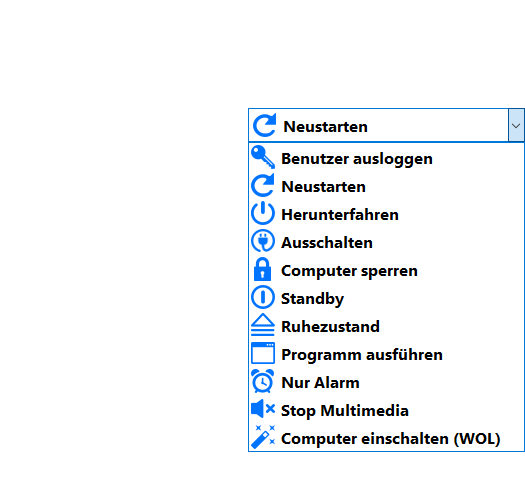 See Autostart section in preferences. Will SleepTimer need an internet connection? SleepTimer doesn't need an internet connection. You can download and copy it to an USB stick, and install it at another computer. 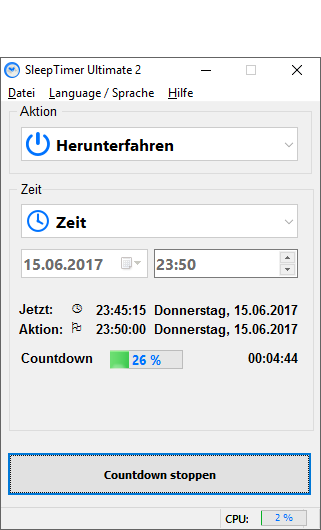 Ab sofort hat SleepTimer eine Funktion, die auf neue Updates / Versionen prüft. Das passiert aber nicht automatisch, dazu muss der entsprechende Menüpunkt geklickt werden. 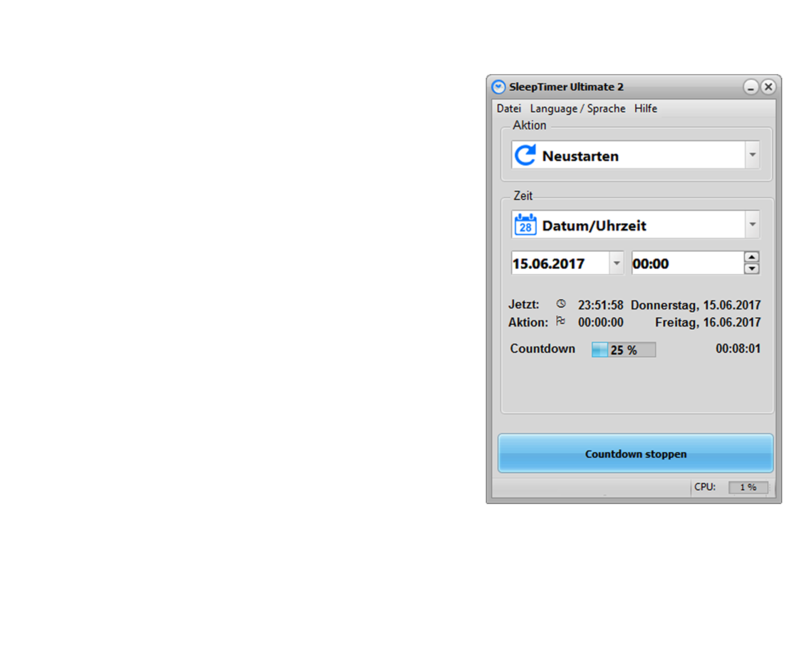 SleepTimer "telefoniert" also nicht automatisch "nach Hause". 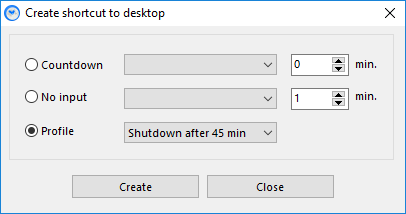 You can copy the SleepTimer directory to an USB stick or other portable device. The preferences file will be saved in the directory of the EXE. How to do an upate? You can check for updates in the main menu. If an update available you download the intall version or ZIP archive. The installer will overwrite all old files with the new ones. If you use ZIP archive, unpack the files and copy it over the old. The preferences file will be stille there and updated with new entries. In general settings you can activate "Use profiles". After restart of SleepTimer there is an option group "Profiles" availabale. Settings like action or time can be saved as a profile. You can also load this profile in this menu. You can use profiles for autostart. 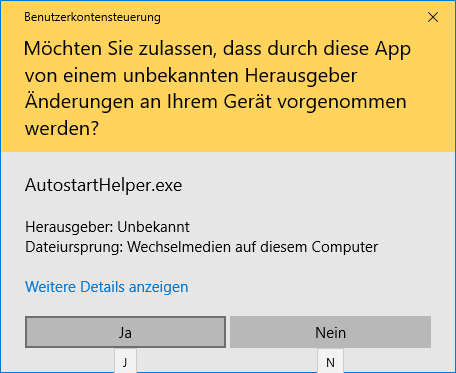 With main menu "Help" and "Create shortcut" you can create a shortcut that you can copy in the autostart folder of Windows. 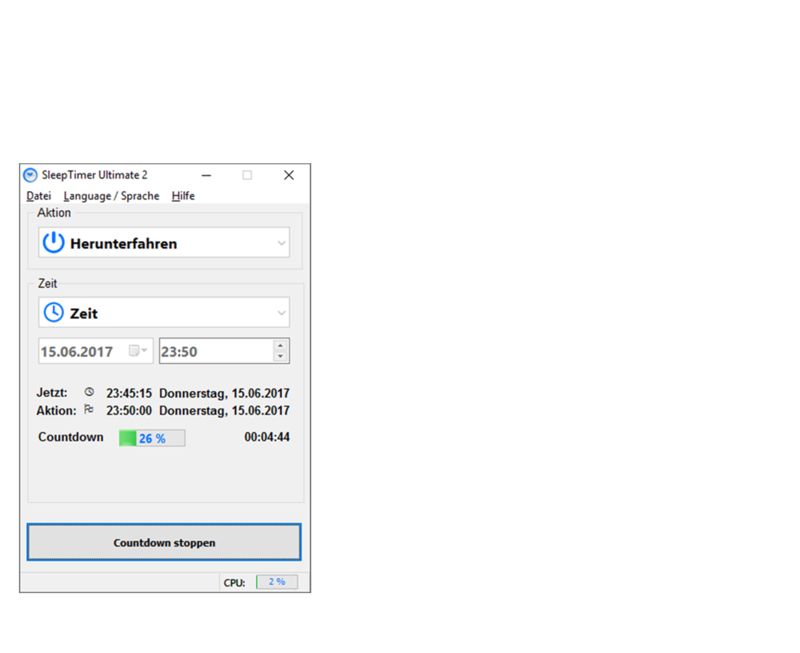 More infos in the FAQ "Is it possible let SleepTimer start automatically?" Feature request or found a bug?